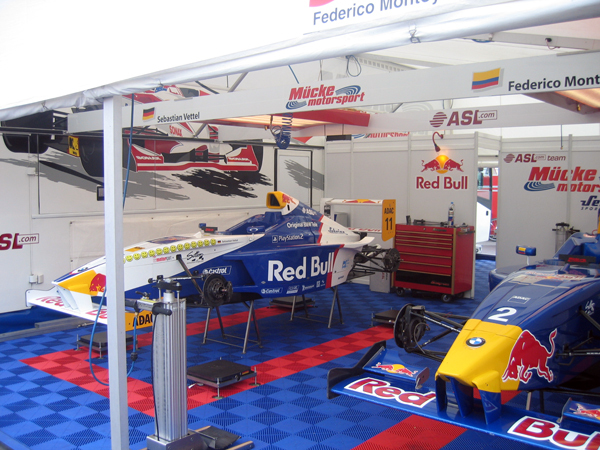 Posted on March 2, 2012 by Brandrenaline, Inc.
Brandrenaline Blogs – I attended the finale of the Formula BMW ADAC Championship at Hockenheim in October of 2004. I was running the North American version of the Championship for BMW NA. 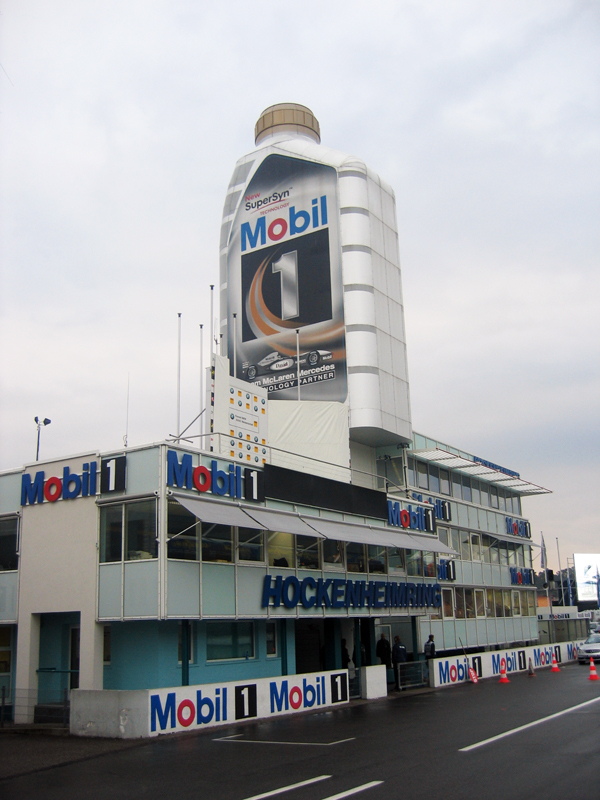 And, as our season was over, it was a great opportunity to see how the German Championship operated – especially since BMW Motorsport (Munich) was large, and in charge. Despite being surrounded by literally hundreds of millions of dollars in supercars, hospitality set-ups and the Hockenheimring itself, it was a shy, seemingly recluse, 17-year old with a mouth full of braces that kept my attention. And although he had already clinched the Championship, Sebastian Vettel was laser-focused on finishing the season on the top of the box. The brilliance of Formula BMW was that it required participants (kids aged 15 – 21) to learn about fitness and nutrition, sponsorship, marketing, PR and of course, racecar dynamics. The Championship had its age restrictions so that old fat rich guys didn’t mess with this true driver development program. You see, BMW had created Formula BMW to feed drivers into their Formula 1 program. And by having four different Championships spread around the globe, they had the opportunity to snag the very best in their net when these future World Champions were just starting. One of the really truly amazing elements of this concept was the team and driver hospitality set up that accompanied each series. 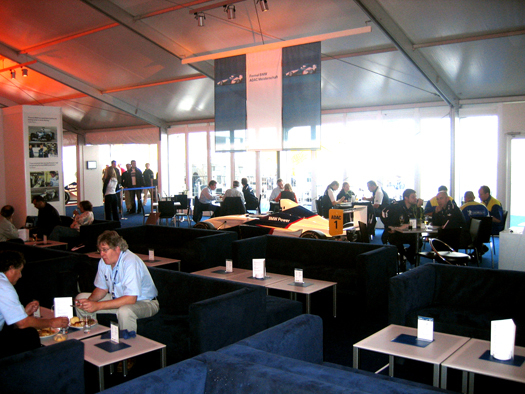 This was the hospitality set-up, used mainly by wannabe racers honing their PSP skills. If you ever saw Penske Racing’s hospitality set up, or Cal Wells’ from the PPI days in the 90’s, they were pretty spectacular – but nothing like these kids had. You can see from the photos that this was world-class. Most kids – coming up through the ranks of racing – eat their lunch under a 10 x 10 eazy-up on a table that has been handcrafted by stacking used racing slicks and a square piece of oil-stained plywood on top. 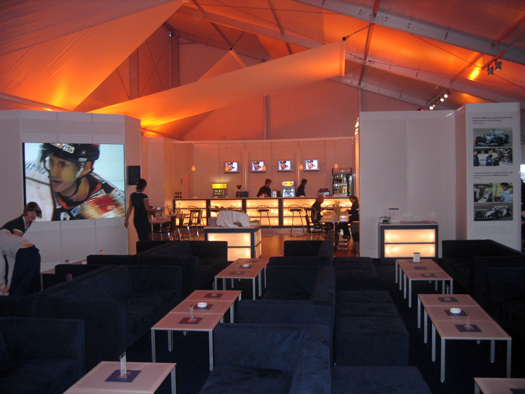 I bring this up, and wanted to show you these photos of this fantastic hospitality because if I wanted to study the drive and determination of Vettel, I had to leave the opulence of the BMW Hospitality tent and hover outside his race team’s set-up like a groupie. Even then, sightings were rare. You see, Vettel was working. 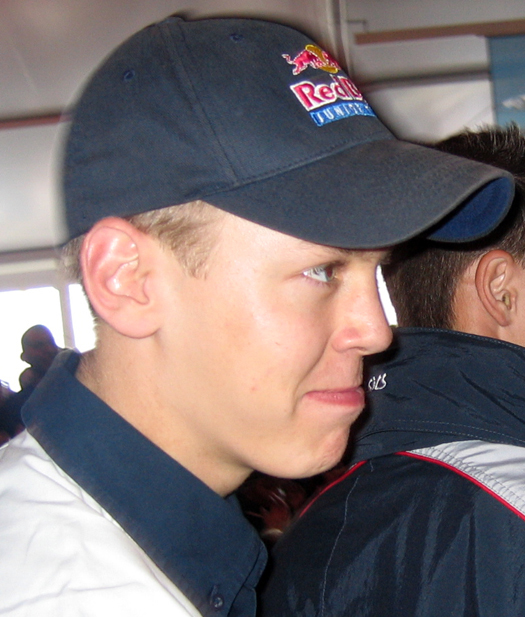 At 17 years and 3 months of age, Vettel was studying data, grilling his engineers and trying to get better. While the other drivers were playing video games, picking their nose and looking at girls, Vettel was working. 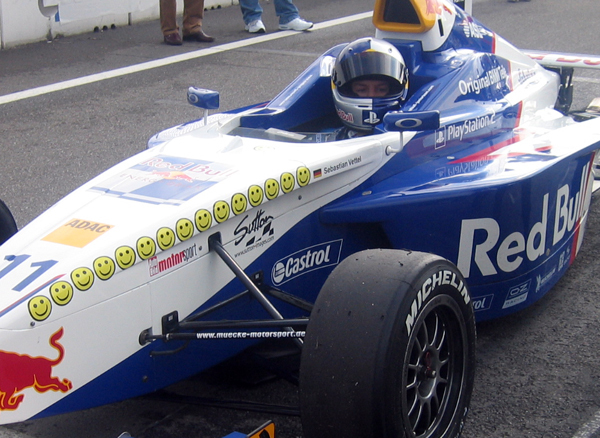 Coming into the weekend, Sebastian had already won 16 of 18 races. This was a phenomenal accomplishment in a spec series. His strategy was so simple that you and I could win with it. Qualify on pole position and then, at the start of the race, get out front and let the rest of the kids crash and bang and fight over second. Simple. He had just won his 2nd race of the weekend, and the Championship. This was not celebration – this was debrief. He won both races this October weekend. He was awarded his Championship trophy in a rather low-key ceremony in the hospitality tent by Dr. Mario Thiessen. The accolades were in German, but it didn’t matter. Nobody could hear any of it because the DTM cars were on track. Throughout the weekend, there was something else that I couldn’t help but notice. To me, it looked like maybe, just maybe, there was something else going on that could end in tears. Although Sebastian’s car had the colour scheme and graphic design that indicated that he was in fact, supported financially by BMW, there was also an elephant at the ’ring. The largest branding on Vettel’s car was not BMW – it was Red Bull. The smiley faces indicated race wins – he ran out of space. The “Red Bull” represented the elephant. Who owned the rights to Vettel? 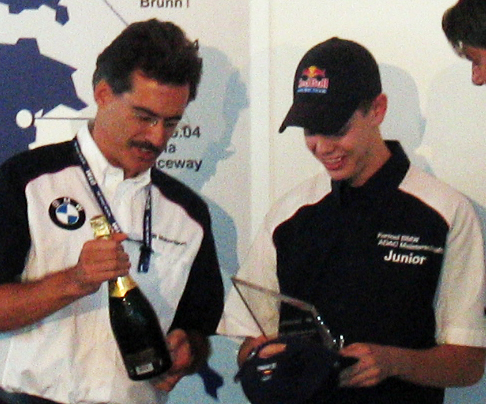 Red Bull also had a global driver development program. How is this gonna play out? 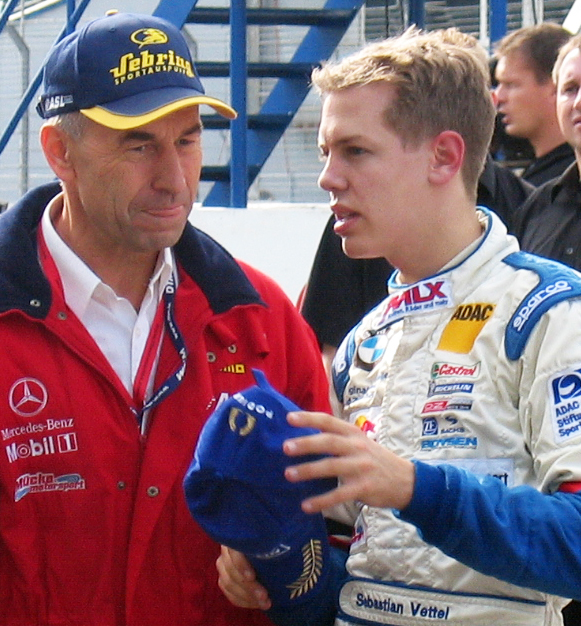 In 2007, Sebastian was named as the test driver for BMW’s Formula 1 team. Was this our answer? He stepped in for the injured Robert Kubica at the Indy GP – drove brilliantly into the points – and then abruptly in July, he was ‘released’ by BMW and replaced Scott Speed at Red Bull’s Toro Rosso. Why would a German automobile manufacturer racing in Formula 1 release a German superstar race car driver? Methinks that they had no choice and that the wide-awake, energetic elephant had first dibs. Did the loss of Vettel from BMW’s stable have anything to do with BMW leaving Formula 1? Was the global economy a convenient excuse to cover for the “one” that got away? I don’t think we’ll ever know for sure. I do know that public statements and press releases are rarely designed to tell us what really happened. Maybe Dr. Thiessen will write a book one day. If he does, I doubt that there will be an elephant, or a bull, on the cover. This entry was posted in Good times! and tagged "Formula 1", BMW, F1, Formula BMW, Formula1, motorsports, racing, Red Bull, Thiessen, Vettel by Brandrenaline, Inc.. Bookmark the permalink.